How to help a wild baby parrot who cannot fly? 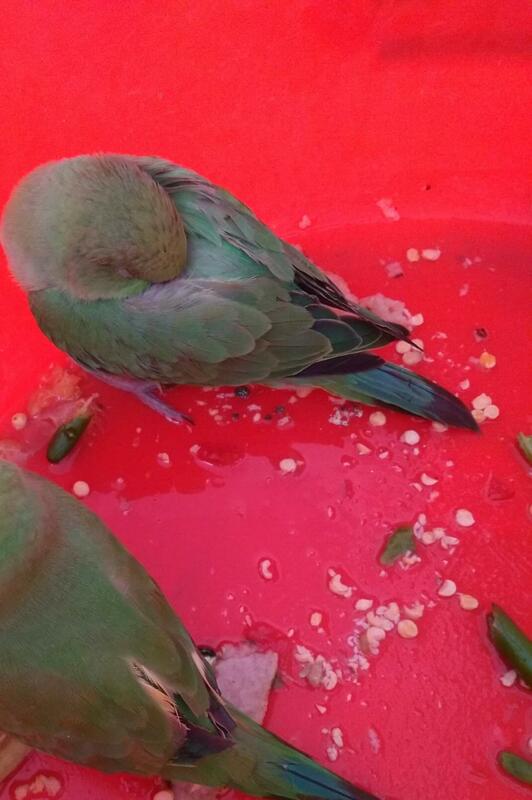 3 days ago a baby parrot was found in my garden, we are not sure from where this bird came from. We soon discovered that he cannot fly, at this time we are trying to keep him safe from predators. His flight feathers look to be cut with scissors, we entice him to fly but he doesn't. I don't have much experience with pets. I'm looking for advice as to what we can do to help him thrive in the wild. Should we visit a veterinarian for the clipped feathers? I read they get back feathers, how much time does it take? Edit: There was one more thing, may be leas important here. Next day one more baby parrot came to my home, we kept both of them together in open. This one stayed one day and night and flew away next morning. Adding Image as requested in comments. Here is picture of the other bird I was referring, you can compare and see this one has wings. Edit2: Today parrot flew away, I am happy for him. This is no more a question for me but answer will still help others. Look for or post lost/found bird notice in your area. Trimmed flight feathers imply the bird is a pet who escaped. Also look for a leg band, Many pet birds (depending on country) will have a ring on their leg indicating breeding program info. This may help you identify the birds owner. I am not a bird expert this could be a parakeet or baby parrot. If neither have wild cousins in your part of the world, it would definitely be an escaped pet. If there are wild cousins in your area, and no leg band. You might want to contact a local authority. There could be legal issues associated with caring for him. Not the answer you're looking for? Browse other questions tagged parrots animal-handling or ask your own question. Why would a pet run away? How to teach a parrot NOT to do certain things? When is the best age to get a baby parrot? What are good substrates for parrot cages? Which species of parrot learn things fast and make a great pet? 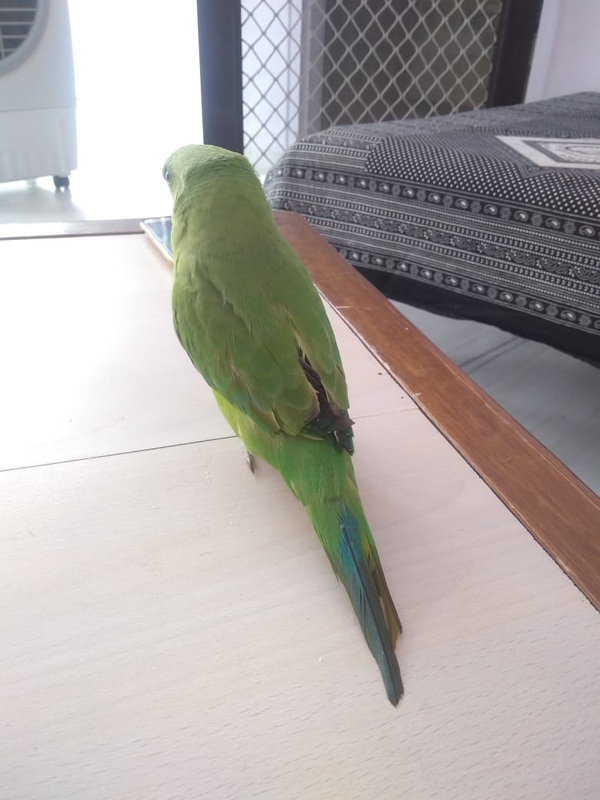 How i can stop my parrot bad habbit to not cut my shoes or sandal stone?